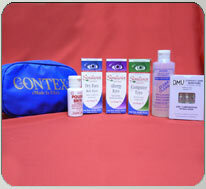 Contex has developed, evaluated and selected the best eye care products available. This preservative free contact lens cleaner is exactly that. A surfactant cleaner that conditions the surface of the lens.